As we saw yesterday, Marvel always seemed more interested in jobbing out hundreds of ninja to the claws of Wolverine than they were in developing a lasting ninja hero of their own. 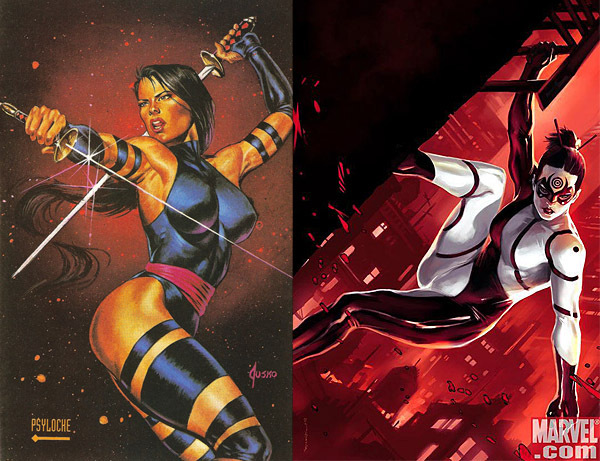 There were, however, several shinobi super heroes in the independent and smaller publisher ranks, including several female characters. 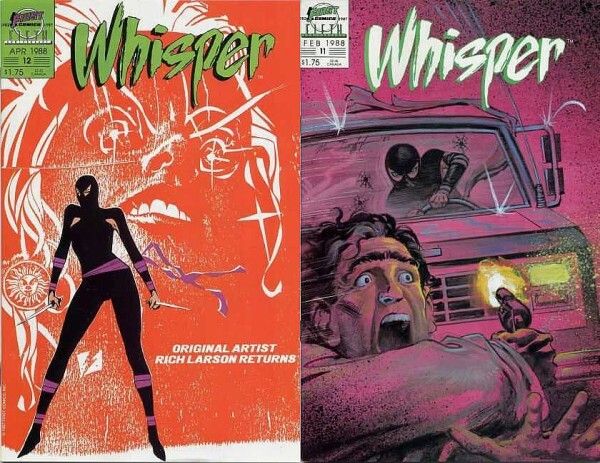 First Comics’ Whisper (created by Stephen Grant and Rich Larson) was a female agent in a rather areobic/jazz dance-styled spandex outfit the influence of which can still be seen today. The title ran 37 issues from 1983 to 1991, well past the ninja craze’s expiration date, and had some great, thoroughly 80’s, covers. See a whole pile more of these covers here and here. Oh my god maybe think i have finally found the comic i was looking for. 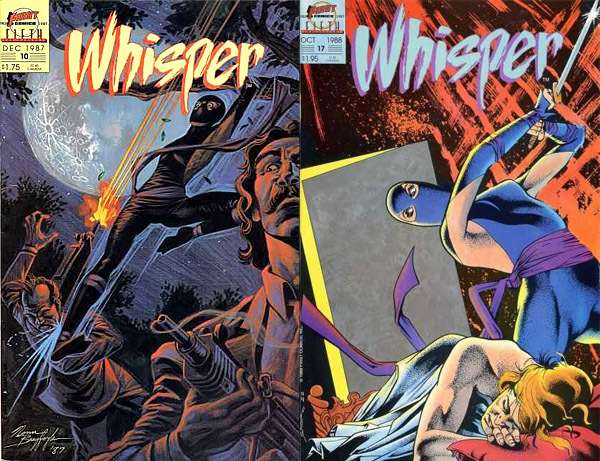 Does whisper have some female character named whitlock. Judging from the covers I think it is the same comic. 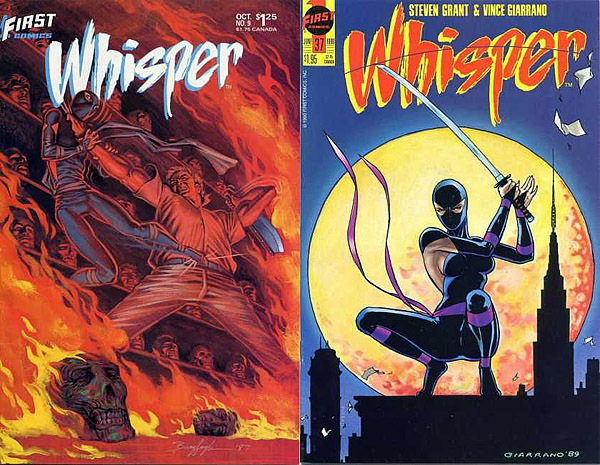 I bought an issue years ago in the nineties, the story was about a good female ninja verses a bad female ninja.